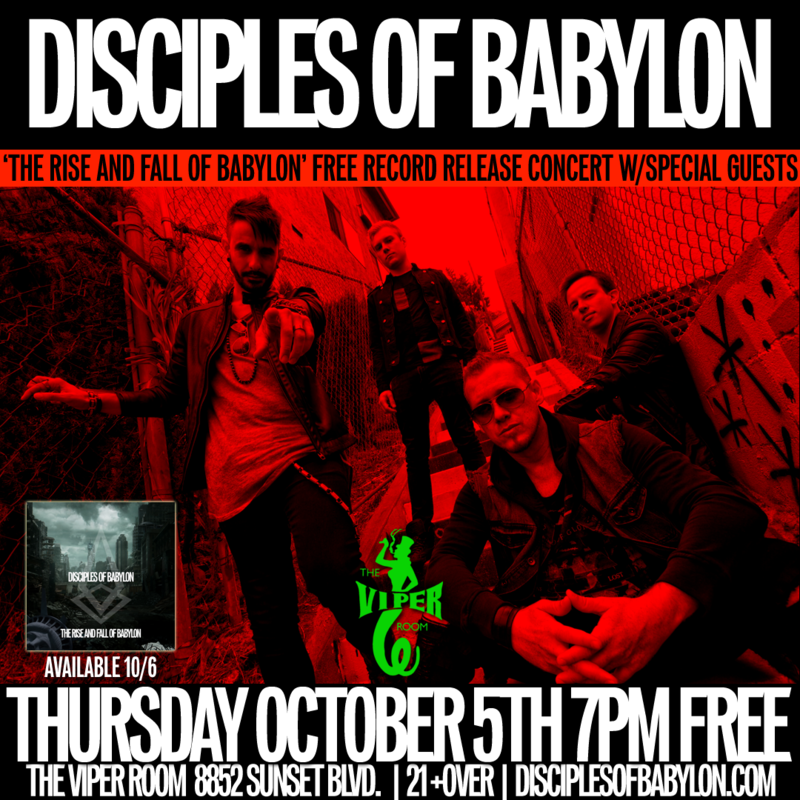 HOLLYWOOD, CA – Disciples of Babylon are pleased to announce their return to Hollywood to celebrate the release of ‘The Rise and Fall of Babylon’ with a FREE concert at the world famous Viper Room on the Sunset Strip, Thursday October 5th. Doors open at 7pm with special guests: Ivy Wood, Animosity Within with one more act TBA. 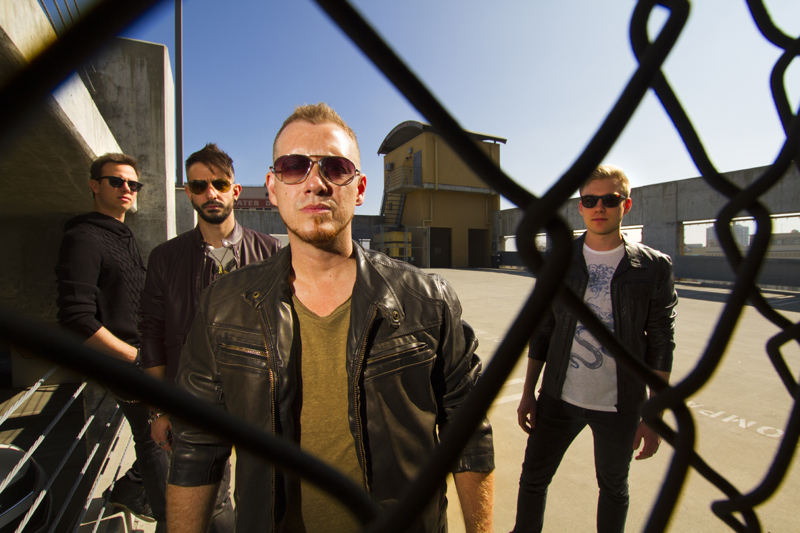 HOLLYWOOD, CA – This Thursday (July 13) at 2 p.m. 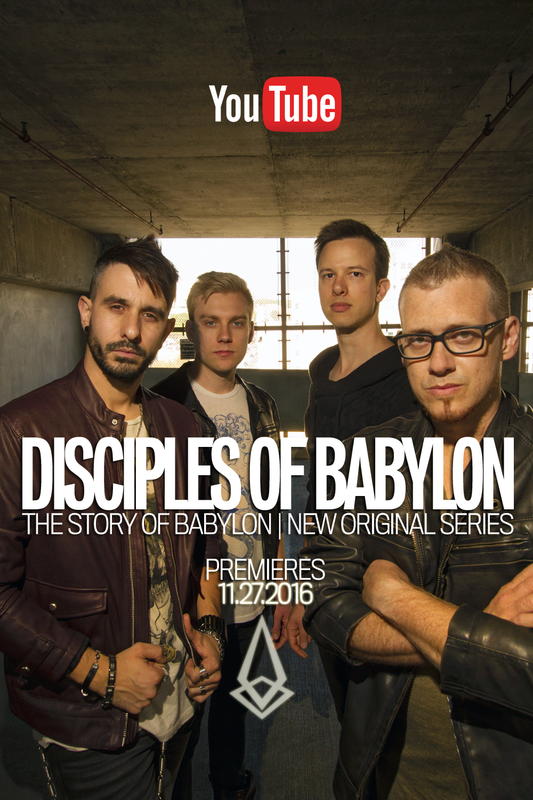 ET, Disciples of Babylon will unveil the first song from from their forthcoming release The Rise and Fall of Babylon an album track called “Freedom,” which will be immediately available to fans who pre-order the album (pre-order begins this Friday July 14 at 3:30 p.m. ET) The lead single, “Without You,” will be released the week of July 24. The band released a teaser to fans for “Freedom” on the 4th of July (Independence Day) last week signaling something new was coming from the band. John Wicks is a singer-songwriter and producer working with numerous artists worldwide. Wicks is best known as the co-founder, lead singer-songwriter and guitarist of U.K. power pop/classic rock band The Records. punk rock movement, recorded three albums for Virgin Records: “Shades In Bed”/”The Records” (1979), “Crashes” (1980), and “Music On Both Sides” (1982). Their first album, produced by Mutt Lange and Tim Friese-Greene reached #41 on the Billboard chart in the U.S. spawning the classic hit single, “Starry Eyes”. Unlike many bands, The Records transcended the punk era, on through the new wave scene and beyond, headlining tours and opening for a wide variety of acts, incuding The Cars, Robert Palmer, Elvis Costello, The Jam and Joe Jackson, before finally taking a break in 1982. IGNACIO VAL SET TO PERFORM AT THE 2013 LATIN GRAMMY® STREET PARTIES BRINGING THE BEST IN LATIN MUSIC TO LOCAL CITIES ACROSS THE U.S.